Country music historians point to Dewitt “Snuffy” Jenkins as a pivotal figure in the development of bluegrass-style banjo. He and fiddler Homer “Pappy” Sherrill have been making music together since the 1930s. WIS Hillbillies (I to r) Tommy Faile, Ira Dimmery, “Pappy” Sherrill, Dewitt “Snuffy” Jenkins. Homer Lee Sherrill was born on March 23, 1915, outside Hickory, North Carolina, in the village of Sherrill’s Ford some twenty-five miles north of Charlotte. At seven, Homer got a tin Sears & Roebuck fiddle for Christmas. Soon he played well enough to help his father draw a crowd when they went into town to sell watermelons from the family garden. Homer debuted on WSOC radio (then in Gastonia) at age thirteen, and in 1934 he joined the Crazy Water Barn Dance at WBT Charlotte as leader of Homer Sherrill’s East Hickory Stringband. The Crazy Water management soon renamed the band the Crazy Hickory Nuts and sent it to WWNC Asheville. When the band dissolved, Sherrill stayed on as fiddler for Bill and Earl Bolick, brothers who gained fame as the Blue Sky Boys. About this time Homer began appearing on records. RCA was holding frequent field sessions in Charlotte, and Homer added his talent to several of the dates between 1936 and 1938. The first seems to have been June 22, 1936, when he teemed with the duo Shorty Watkins and Mac McMillen to form the Blue Ridge Hill Billies. In October of that year, he backed Wade Mainer and Zeke Morris as they cut eight tunes, including the delightful nonsense classic, Hop Along Peter. But before 1939 was out, ace announcer Byron Parker persuaded Homer Sherrill to move his family to Columbia, South Carolina, and join the WIS Hillbillies with Snuffy Jenkins. Dewitt Jenkins was born on October 27, 1908 in Harris, North Carolina, not far from the city of Shelby. He grew up hearing the distinctive three-finger banjo style played by amateur musicians in that part of the piedmont. Its rolling, bubbling sound, in stark contrast to the more traditional and percussive trailing and clawhammer styles, delighted the young man. 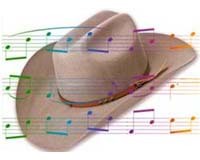 In 1934, Jenkins became the first to use the new style on radio, debuting on WBT’s Crazy Water Barn Dance as leader of the Dewitt Jenkins Stringband. 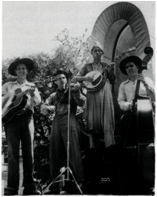 Promotional material noted that they were “playing the old-time mountain tunes like very few can, and in that ‘peppy’ style that is peculiarly their own.” After a brief stint as bandleader, Jenkins joined J. E. Mainer’s Mountaineers, one of the period’s most popular stringbands, and broadcast with them over WSPA Spartanburg and WIS Columbia. In August 1937 Jenkins put his three-finger banjo style on record. In a drapery-shrouded room on the tenth floor of the Hotel Charlotte, he and the Mountaineers recorded with J. E. on fiddle, George Morris (Zeke and Wiley’s brother) on guitar, and Leonard Stokes on mandolin. The sound “came frightfully close to bluegrass,” write folklorists Ivan Tribe and John Morris, despite the fact that Bill Monroe was still two years from forming his first organi­zation of the Bluegrass Boys: “Four sides feature the group with Snuffy’s three-finger banjo being quite audible and the entire band sounding quite similar to bluegrass on Don’t Go Out Tonight, Don’t Get Trouble in Mind, and Kiss Me Cindy’.’One cannot help but wonder whether young Monroe was listening. 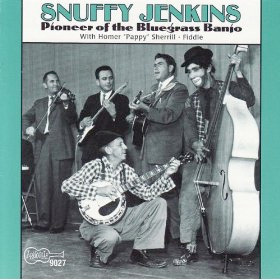 In fact, Snuffy Jenkins directly influenced the two men who later brought three-finger banjo playing to Monroe’s band. Earl Scruggs grew up near Jenkins and remembers listening closely to the older player. Don Reno, who followed Scruggs in the Bluegrass Boys, took lessons from Jenkins. During the 1950s the Hired Hands hosted a weekly television show on WIS-TV called Carolina in the Morning. They found a new audience during the 1960s folk music revival and began recording anew and touring festivals across America. Recently they performed at Carnegie Hall. Today in 1985, Pappy Sherrill’s limber-wristed fiddling is still in fine form. Snuffy’s baggy pants and washboard are just as corny, and his banjo just as loud and clear as in the 1930s, even as he approaches his seventy-seventh birthday. Jenkins died on April 29, 1990, Sherrill on November 30, 2001. Their Pioneer of Bluegrass Banjo CD remains available from Arhoolie Records. Ten selections by Snuffy can be heard on the CD reissue of folklorist Mike Seeger’s pioneering compilation American Banjo, Three-Finger and Scruggs Style (Smithsonian Folkways). The Snuffy Jenkins Festival — recently restarted in Rutherford County, NC — brings together pickers and listeners each fall to remember Pappy & Snuffy and carry on the tradition.